researching infectious diseases. During his undergraduate years, he shadowed several veterinarians and decided that working with small animals would be his new career path. 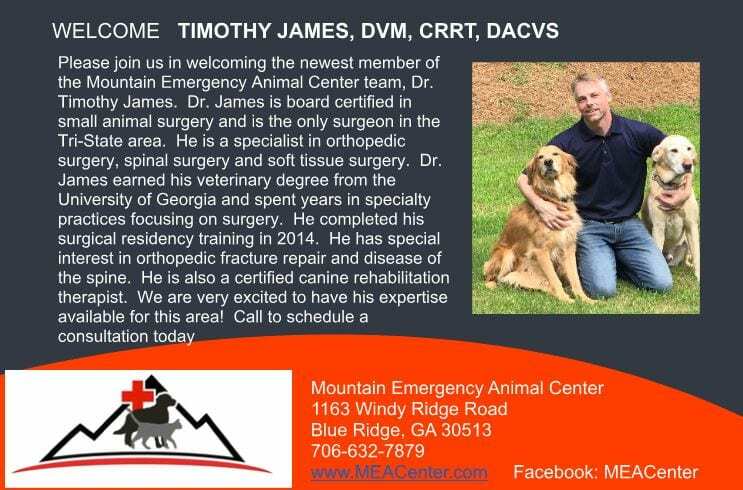 Dr. James graduated from the University of Georgia, earning his Doctorate of Veterinary Medicine degree in 2003. From that point on, he was immersed in surgery and emergency medicine. 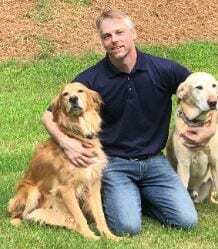 He started his career at a large specialty practice in Indianapolis where he also completed a residency through the American Board of Veterinary Practitioners. 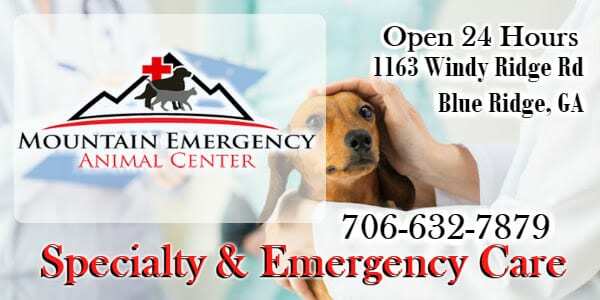 Mountain Emergency Animal Center would like to welcome Dr. James to our team!